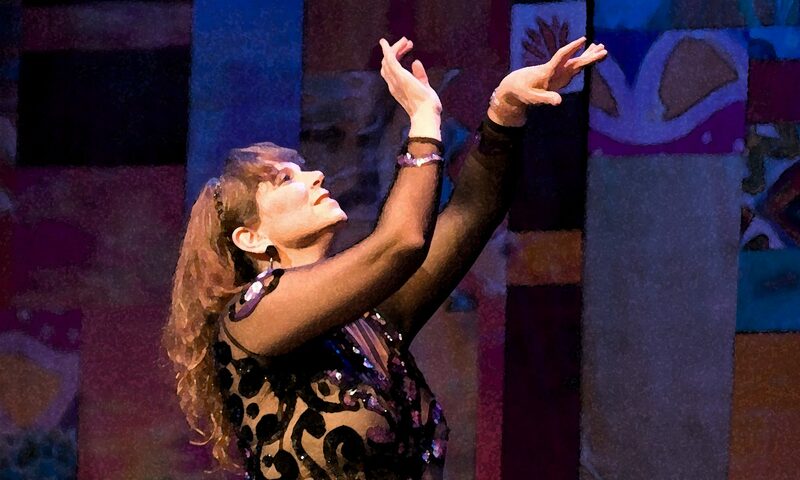 Learn about the beautiful and exciting art of Middle Eastern Dance with Bloomington, Indiana, instructor and performer, Donna Barbrick Carlton. 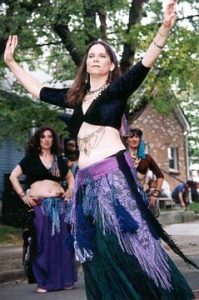 She began sponsoring workshops in 1989, with instructors such as Karen Custer Thurston and topics such as Greek folkdances. 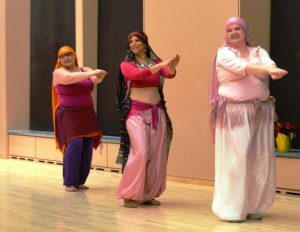 For several years, she organized and sponsored workshops twice a year with luminaries such as Aida al Adawi, Elena Lentini and Samara Adell. 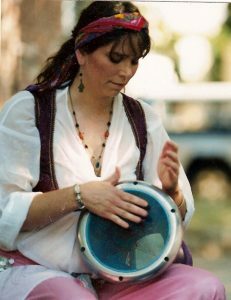 In addition she leads workshops on various specialty topics. 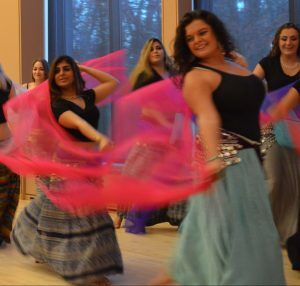 Donna is the first person to teach Middle Eastern Dance for college credit in the state of Indiana. 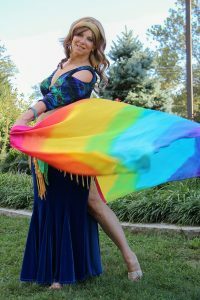 She teaches extracurricular classes for the community at Enlighten Wellness and also at Indiana University through the School of Public Health-Kinesiology Department (a one credit course). 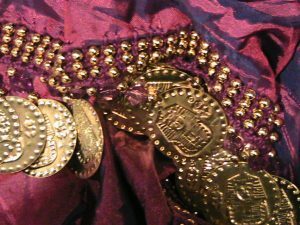 Whether you need a coin sash, finger cymbals or a professional costume, Donna has the goods. Click this link to see an album of goodies for sale.